Some people are hard-wired to soak up the outdoors as much as they possibly can. It’s not easy for anyone to live life without a job and still enjoy the benefit of a home that is comfortable. 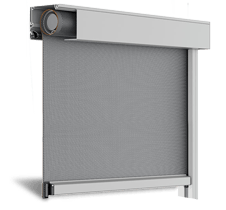 As such, if you are one of those people who works hard and wants to make sure that when you arrive home that you can bask in the evening sunlight, even if you’re a city dweller, then outdoor awnings in Hope Island are a must for your abode. Here at Sheerview Window Furnishings, we are the people that you need to talk to when the time comes to invest in the comfort of your home and achieve more with your window furniture and dressing. Our team has worked in this market for 20 years and in that time we have amassed a huge amount of knowledge with regards to design, décor and how to install the best products in a home to maximise its curb appeal and comfort. Are Hope Island Awnings Really Worth the Hype? Many people will think exclusively about restaurants and business premises when they consider awnings, but the truth of the matter is that homes in Queensland badly need shade when the sun hits the sky, especially if they are keen to make the most of their outdoor areas without risking negative health effects from overexposure to UV rays. Retractable awnings in Hope Island are one of the best investments for any homeowner that wants to minimise the presence of the awning when it is not in use and maximise the benefits that come from having one as and when it is needed. Within a few moments, your outdoor area will be transformed from a boiling hot cauldron to a comfortable, shady place to relax. Awnings can reduce the temperature in an area by up to 10 degrees once they are out, so you’re not just going to be safe from the sun, but a lot less likely to complain about how hot it is. 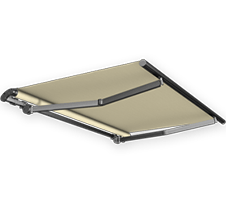 Those who frequently entertain guests, or cook for a large number of people around the family table will appreciate the presence of Hope Island folding arm awnings in their back yard. If your kitchen is in the same space as your dining table, then you know just how sticky things can get on a hot day when the oven is on. Having the flexibility to set up a table outdoors, in the shade, where everyone can enjoy their food is a blessing and a major plus. At Sheerview Window Furnishings, we know that it’s not all just hot sun throughout the year here in Queensland. As such, on those days when a little bit of rain starts to fall just when you were settling into your favourite outdoor lounger, wouldn’t it be nice to have an awning you can pull out that will allow you to rest uninterrupted by the weather? We serve the Gold Coast and its Hinterland areas as well as Oxenford, where our showroom is based, and our high-quality, awnings come with 5-year guarantees against UV breakdown as well as motorised options for those that want to streamline their homes. 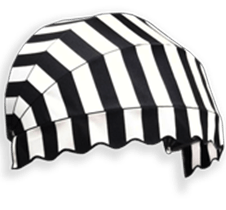 So, if you want to enhance the value of your property and increase the ways in which you can use your outdoor area, seek out the best awnings Hope Island residents can access here at Sheerview Window Furnishings today. We look forward to helping create the means to soak up the outdoors in the comfort of your own home soon. Around Queensland we are known for our fast installation times and quality products, such as the increasingly-popular Ziptrak. Besides Brisbane and the Gold Coast, we also service Hope Island with curtains, shutters and blinds.